Found at the lowest tides, if found these are unlikely to be this species, as specimens under eight inches are rarely found on shore. 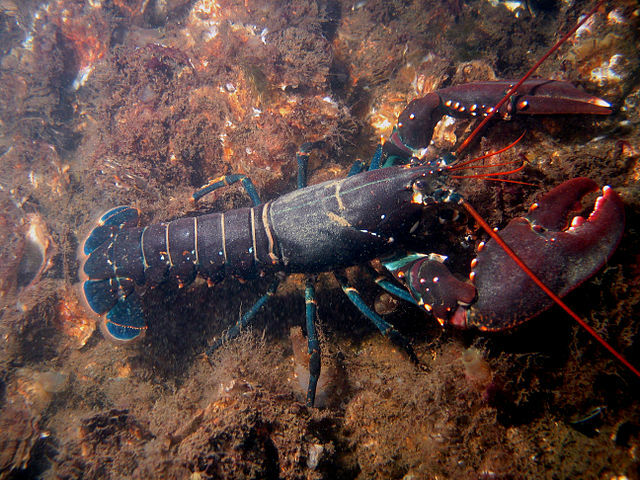 The common lobster has two large claws which are not equal. The larger is a crushing claw, the smaller a biter. Common Lobster is a nocturnal predator. It feeds on small animals, and scavenge carrion. They uselegs to move, but may swim quickly backwards by means of a fan shaped tail.